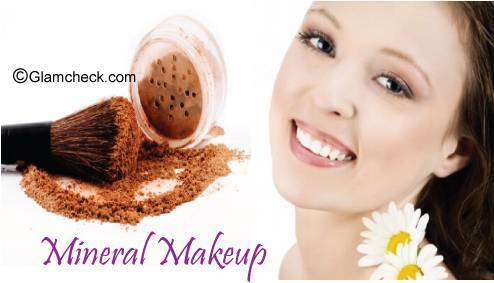 Mineral make up is the name given to cosmetic products which are made of all natural, finely ground materials from the earth. These are finely ground, light minerals that are buffed into the skin using a brush. Mineral make up products contain no chemicals, preservatives, dyes, fillers, talc or synthetic fragrances found in traditional cosmetic products. Mineral make up is very gentle on the skin. Mineral make up products are weightless, they neither block your skin pores nor do they give you the feeling of wearing make up. 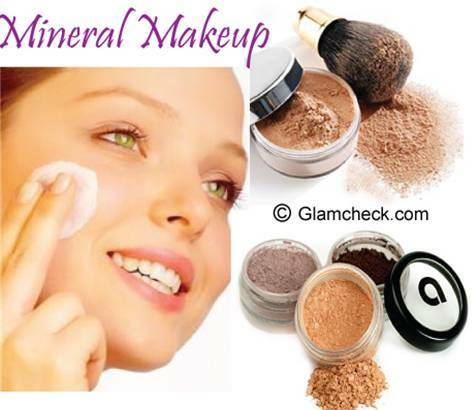 Mineral Make up products have an anti-aging effect on the skin and help you look young and fresh. Mineral make up allows the skin breath normally as it does not blocks the pores. Mineral powder gives coverage like no other cosmetic foundation. It looks sheer and luminous on the skin. The basic substances used as the base in mineral make up products such as titanium dioxide and zinc oxides; provide high level of natural sun protection from UV rays. The SPF is more than 20, making it very useful in the hot and humid climate. Mineral make up cools the skin and rejuvenates it. Even if you sweat more, mineral make up will never wear out. Mineral make up products are recommended by dermatologists around the world because of their hypoallergenic, anti-microbial and anti-inflammatory properties. Mineral make up is very good for sensitive skin and is a boon for those suffering from acne and rosacea. 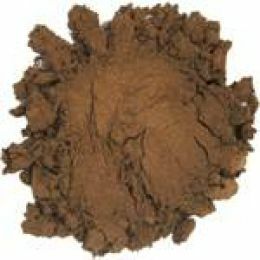 One can change the appearance of mineral make up merely by changing the application technique. Regular brushes give a light tint, whereas, sponge or cosmetic brushes can make the application darker and denser. A damp sponge makes the make up darker. Mica, titanium dioxide, zinc oxide and iron oxides are the main ingredients of mineral make up products. Mica is one of the naturally occurring minerals. It is crushed and purified to fine powder. It’s glittering property calls for it’s usage in cosmetics to add extra shine and shimmer. It occurs naturally. It is refined to form a light powder. 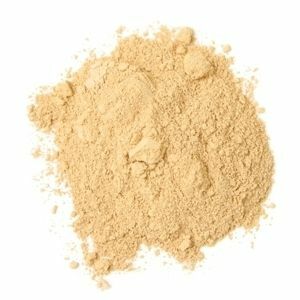 It is used in cosmetics as a powder. 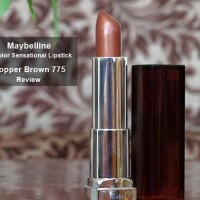 It provides a high level of ultra violet protection. A naturally occurring salt with medicinal properties used to relax the skin. Also provides protection against UVA/UVB light. Naturally occurring salts, purified to produce a variety of earthy tones. 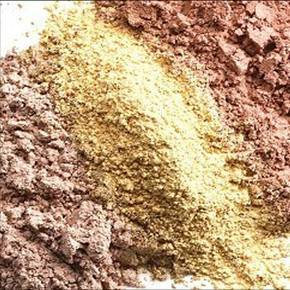 These fine and smooth powders generate 3 main color groups: red, yellow and black. Mineral make up concealers are used to cover the imperfections on the skin and under the eyes to achieve a flawless finish. They should always be applied before the foundation. 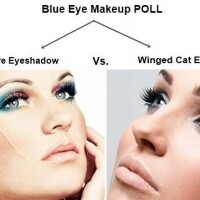 Yellow concealer helps to cover up the dark circles under the eyes and hide the age spots. Green ones help to reduce the redness on the skin. Use mineral make up concealer if you have pimples or acne. 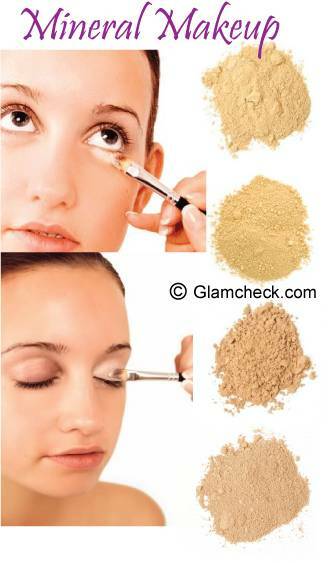 Tap a small amount of concealer powder on the lid and dip the concealer brush into it. Apply it gently on the areas or spots you wish to hide. Choose a foundation that matches your skin tone. You can also mix and match them to achieve the desired shade. Once you have concealed the blemishes and spots with the concealer, tap a small amount of mineral foundation on the lid and using a face brush, twirl it in the lid until all the minerals are tucked inside the brush. Apply it on the skin in a circular motion. 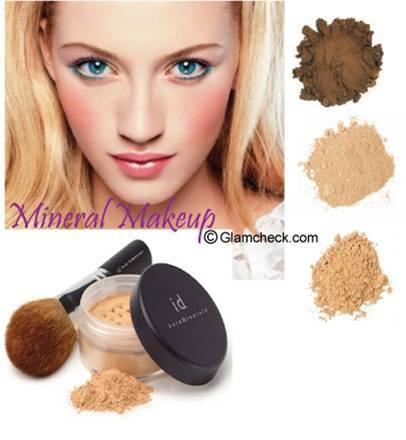 Mineral make up powders help the foundation to set. It minimizes the imperfections, fine lines and wrinkles leaving a silky texture. After applying the concealer and the foundation, it’s now time to tap a small amount of mineral powder on the lid. Using a face brush, twirl it in the lid until all the minerals are tucked inside the brush. Apply it evenly on the skin in a circular motion. 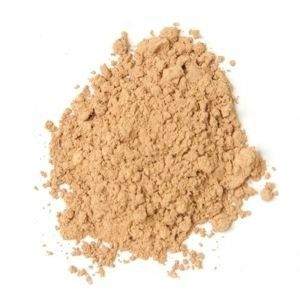 If you have normal to dry skin, use the powder after foundation. But if you have an oily skin, use the mineral powder before applying the foundation. You can repeat the steps and apply another layer of foundation, if you feel the coverage is less. To avoid a chalky make up look, always use less mineral make up and build up layers rather than using a lot of make up in the very first attempt.